Hey Everybody! I hope you're having an amazing day! 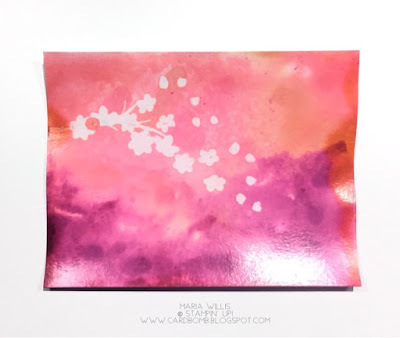 I'm just stopping by today with a quick photo tutorial for an emboss resist, alcohol ink blended background on Glossy Cardstock. How's that for a mouthful? Hahaha! 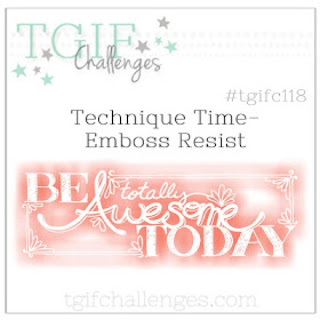 I had planned on doing an Alcohol Ink Blending background tutorial for my friends on the Technique Zone and then I saw that the challenge over at TGIF Challenges this week is "Emboss Resist." So, I combined the two techniques to make this card. The first step to making this card is to heat emboss the images with Clear Embossing Poweder onto your Glossy Cardstock. Make sure to use your stampin' buddy first so that your image is crisp and clean. It's really hard to see what's going on in this photo but if you look closely you can see the image of the cherry blossoms that I heat embossed. Next, drop some ink from reinkers onto your glossy paper. I used Flirty Flamingo, Peekaboo Peach and Berry Burst. Then, spritz the ink with rubbing alcohol until the surface of the paper is flooded and the ink starts to blend and swirl together. 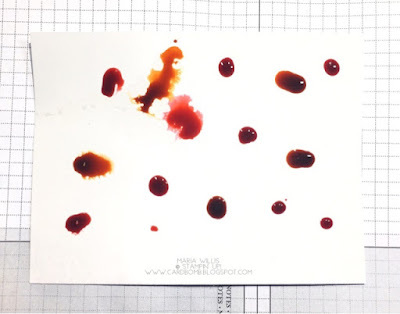 You may need to use a paper towel to mop up the excess ink and alcohol mixture. 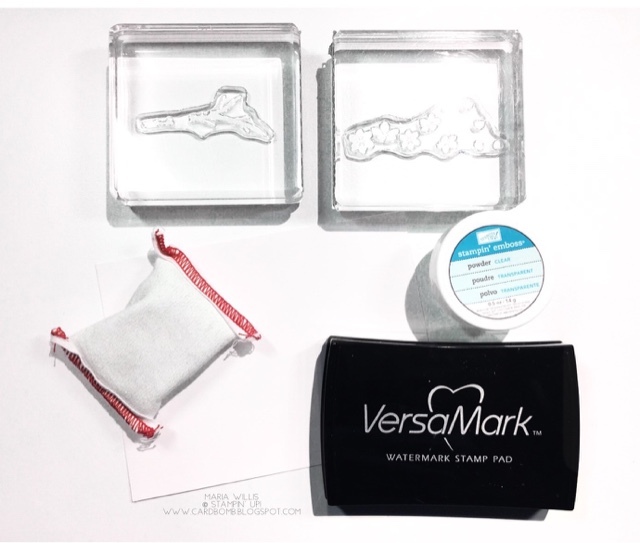 Once the excess fluid is cleaned up your stamped/embossed image will be revealed (that's called emboss resist). You can either let this air-dry, or, you can hit it with a heat tool. 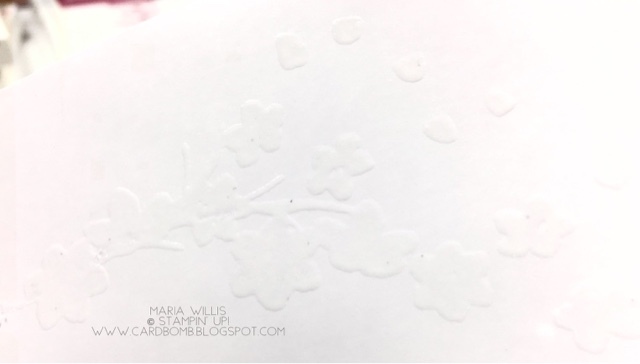 I used Fast Fuse to adhere my card face to a mat in Basic Black and then I added some extra cherry blossoms in silver foil. The larger bloom came from the Birds & Blooms Thinlits and the smaller blooms were punched using the Tree Builder Punch. Some pearls in white and black (colored with a Sharpie), some black mini sequins and some black metallic thread finished my card off. 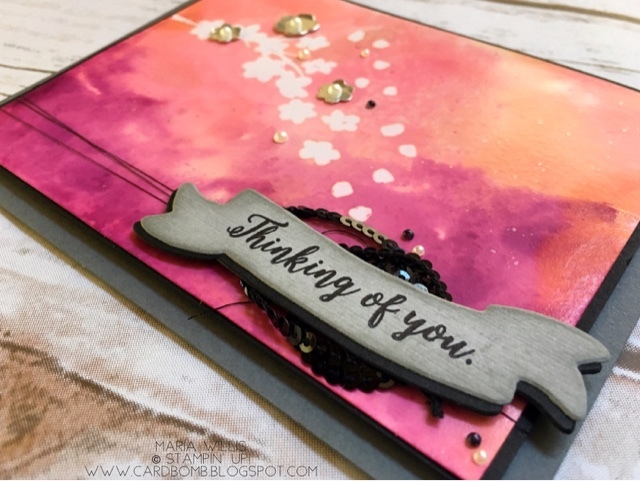 If you're interested in seeing more cards made using the emboss resist technique then head on over to the TGIF Challenge Blog for #TGIFC118 and see what the design team and other challengers have to share with you this week. Alright, that's all I've got for today. If you try either of the techniques that I shared today I'd really love to hear how it went. You can always leave me a comment to let me know or ask any questions that you might have. See you back here soon! The Creating Kindness blog and video hops are live on Thursday so I hope you'll come back to check those out. Love it Maria! Love the technique you shared for ink and alcohol on glossy cardstock too. I'm going to have to try this combo. Thanks for joining us at TGIF this week!